On January 14, 2014, the Missouri Court of Appeals, Western District, issued a decision in In The Matter of The Application of Laclede Gas Company D/B/A Missouri Gas Energy, For Approval to Change its Infrastructure System Replacement Surcharge; Public Service Commission of The State of Missouri vs. The Office of Public Counsel. Therein, the Court of Appeals affirmed a decision of the Missouri Public Service Commission approving Missouri Gas Energy’s (MGE – then owned by Southern Union Company and now owned by Laclede Gas Company) proposed change to its Infrastructure System Replacement Surcharge (ISRS) in May of 2013. The Office of the Public Counsel had argued that the statutory period for such a filing began to run at the conclusion of the Company’s prior rate case. MGE argued that the period began to run when MGE first implemented an ISRS rate after that rate case. The Court of Appeals relied upon several principles of statutory construction in reaching its decision. The case remains subject to possible applications for rehearing and transfer. 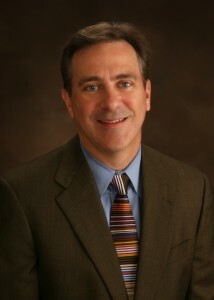 MGE was represented by BSE shareholder Dean Cooper. Mr. Cooper has a general administrative and civil practice with emphasis on public utility law. He has appeared extensively before the Missouri Public Service Commission on behalf of public utilities (electric, natural gas, water and sewer). He has also appeared before both state and federal courts (trial and appellate level) and many administrative bodies.